The Kennedy Center said in a tweet that a performance of "Hamilton" has been added at 7:30 p.m. Thursday, Sept. 13 to accommodate those with tickets to the canceled performance. 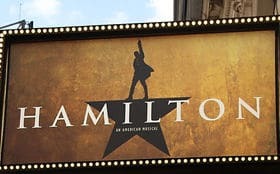 WASHINGTON — “Hamilton” may still be the hottest ticket in town, but it was just too hot Tuesday for the show to go on at the Kennedy Center, and the show was canceled. The complex experienced a building-wide cooling system failure during the peak of the heatwave. Anyone who can’t attend that show will be eligible for a full refund. The Kennedy Center said the cooling system has been fixed. Wednesday’s show will go on as scheduled.